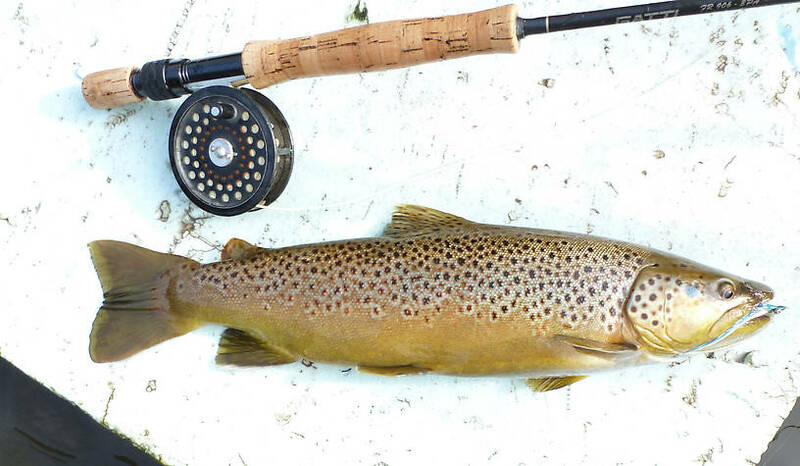 This brown is 20"+ long and is a great example of a wild Delaware grown trout. 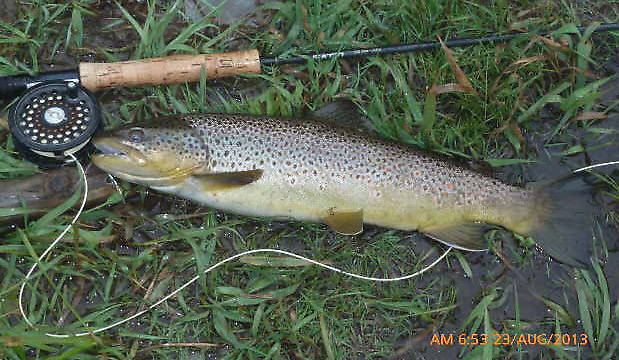 Another very nice streamer caught brown of about 18". Sorry for putting the fish on the stoney background but it was released in seconds and it quickly swam away no worst for the experience. It is about 19" long. 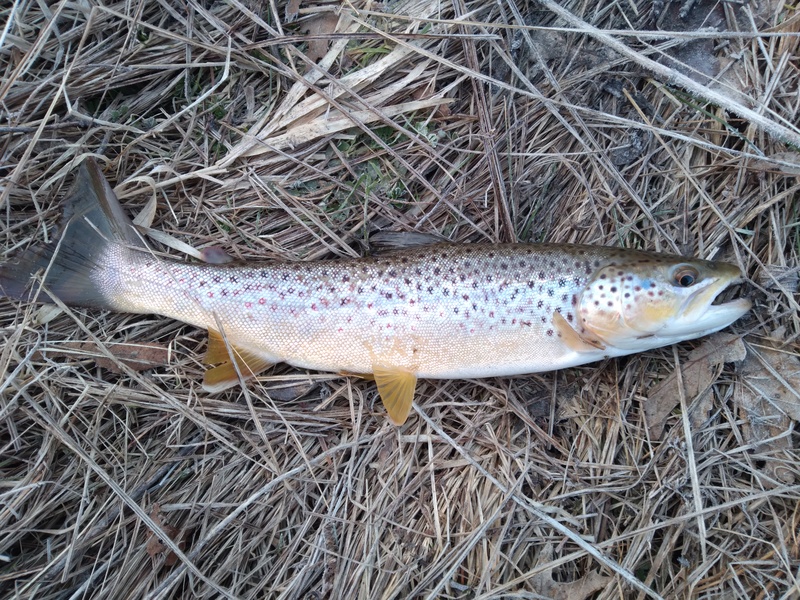 Last brown of the 2013 trout season - the picture makes the fish look small but it was a very thick and robust brown about 19" long. 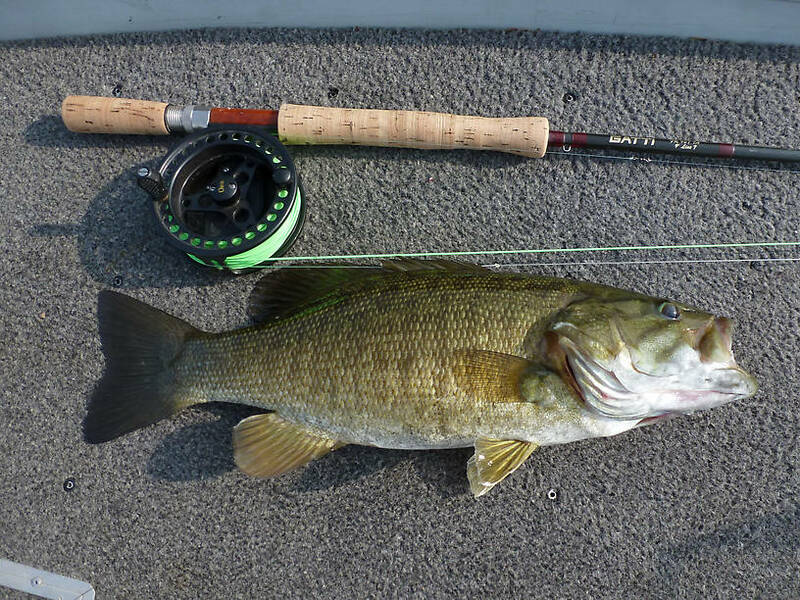 Very strong 16" smallmouth in very good condition with a thick body and just a gorgeous fish. 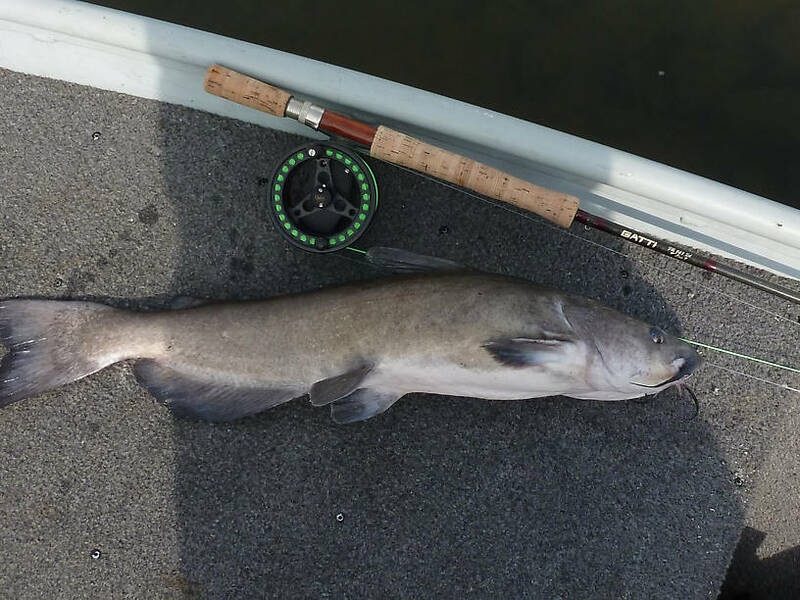 Awesome experience and one of the largest channel cats I've ever caught. Very strong and they can reall pull and run line. Conditions & Hatches Cold water with much grass on upper WB, very low water, 7300 cfs, on Susquehanna. No hatches. Posts: 2468 I made one trip in late August to the WB and another in late September to close the cabin and set up an appt with the plumber to winterize it. 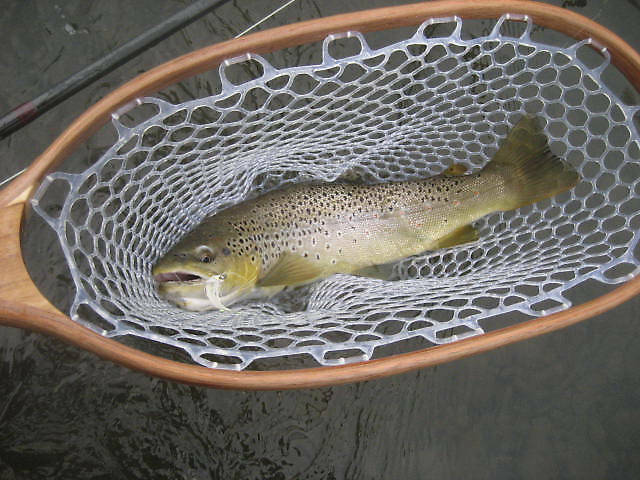 On both trips the weather was very nice but there was virtually no rising trout. 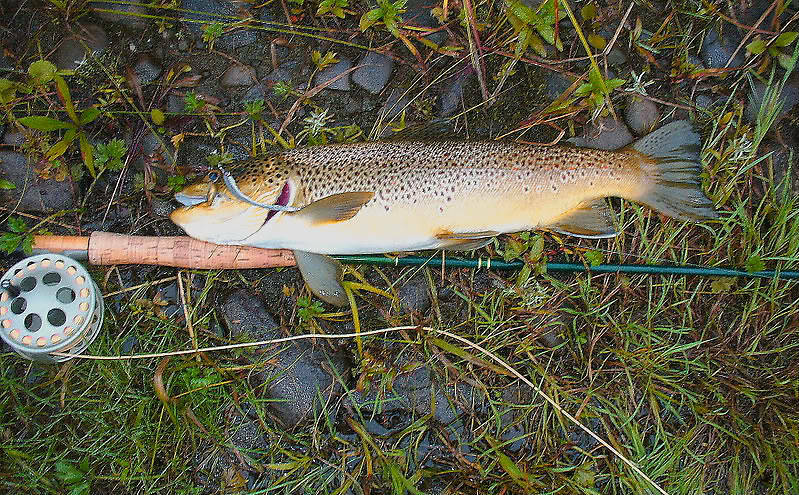 The trout I did catch were on various color Clouser minnows. The fish caught on the Susky were caught on an all yellow Clouser with gold flash in the middle tied on a 1/0 Mustad circle hook. 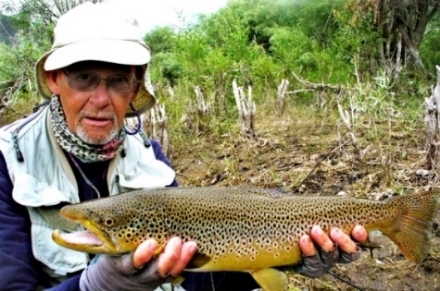 While as you know I prefer casting dry flies to rising wild trout I am not such an elitist that a big streamer might not somehow find itself tied to my leader. Many of my friends look down there noses at me for pursuing some of the techniques that I employ but as long as it is legal I'm all in. Posts: 2587 Good stuff Matt! 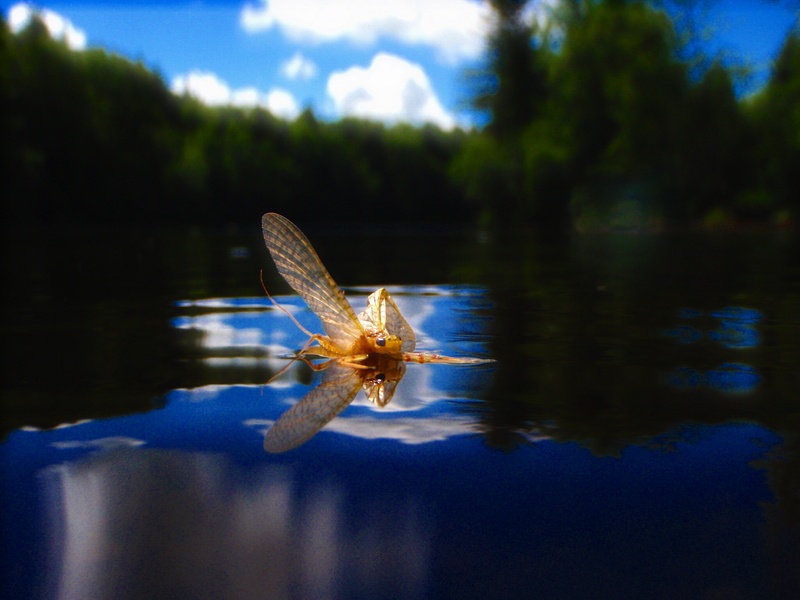 Though there are many places to fish here year round, there still is a pang, somewhere inside, when another fishing season has come to a close. September 30th was the end here in Michigan. I was up a couple weeks back to close things out myself, and I didn't have anywhere near the success you had. This was a great year for me though...April in PA with "the Boys", a couple trips to Grayling, and then out to Montana. 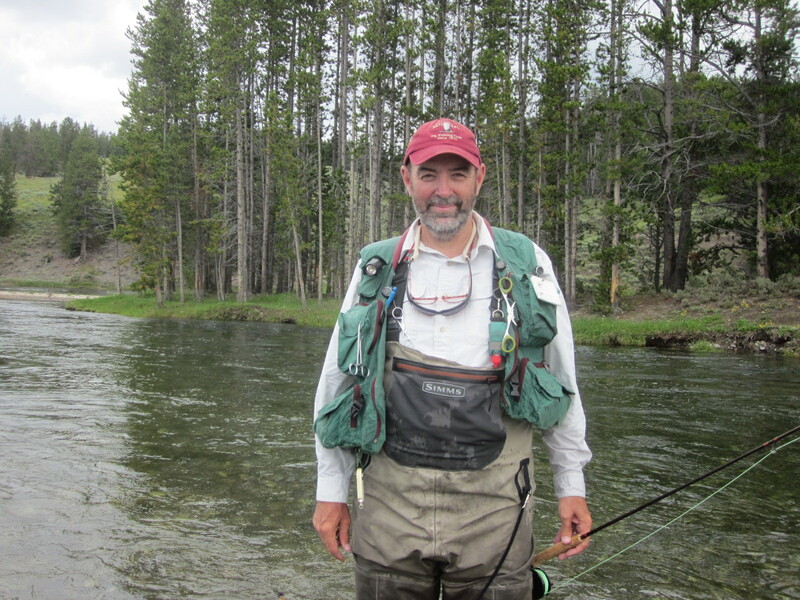 While as you know I prefer casting dry flies to rising wild trout I am not such an elitist that a big streamer might not somehow find itself tied to my leader. Who looks down their noses at streamers?? Scr*w 'em! I'll never give up my Woolly Buggers or KBFs no matter who ever says or thinks what. They work and they catch nice big fish as you have showed so nicely. And there's nothing quite like the JOLT of a fish slamming into one, sending the shock wave straight up through the line to your arm and up into you brain! Well done Sir. And again, nice to see some fishies on here for a change, not too many of us troutnuts have been posting photos on here lately. Posts: 2345 BTW Spence, I know where you're talking about...good luck and post us some photos if you get lucky! Posts: 142 Nice fish, Matt. I'll be on the WB this weekend or next tossing some huge streamers...good to see they're chasing.